We were told Germany would never be allowed to rearm. They now have got 300,000-400,000 men and arms, and they are now moving tanks into Lithuania. Why? To confront Russia. But Russia isn’t the threat, Graham Moore, political commentator, told RT. 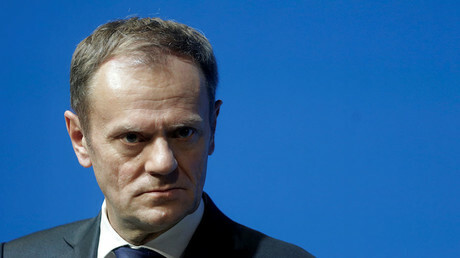 President of the European Council Donald Tusk on Wednesday called US President Donald Trump one of the major external threats to the EU. RT: People in London have been surprised by Tusk's comments about Trump, saying he was overreacting. However, many Parisians agree with Tusk. Why the difference in opinion between the two countries? Graham Moore: I don’t believe that Donald Trump is wrong. In fact, I believe that he is correct. He is basically looking after the interest of the American people, which is exactly what he was voted in to do. If you’re talking about the EU and making the silly suggestion that Trump is as much a risk to the EU, as Russia, for example, I don’t believe are direct threat to us; or ISIS, which is even more ridiculous. The biggest threat to the EU is the EU; the biggest threat to the EU is Germany... What they are trying to do is create this hysteria around Trump, because Trump doesn’t care about the EU, and he is not interested in the EU. RT: Many politicians across the EU are critical of Trump. Do you think this will affect how the public view him? GM: I can most definitely tell you that from a petition in the UK that is stating that Trump should have a state visit with the Queen - with no publicity whatsoever, no broadcasters mentioning [this petition], no radio stations, no talk stations, unlike the other one, it has already surpassed 240,000 signatures – and that is just within over 24 hours. So for a petition that is positive towards Trump and a state visit to get that amount of signatures in that space and time with no publicity – that tells you that the public are for Trump. When you look at the other petition, it has had four days of non-stop media free-of-charge, prime-time publicity, yet the positive petition for Trump has had no publicity and it still attracted over 200,000. RT: The UK Home Secretary said that Trump might be creating a "propaganda tool" for Islamic State through his policies. What's your take on this? GM: My direct answer to that from Boris is I don’t believe that. At some stage we have to stop the appeasement of Muhammadism and Muhammadans, because the appeasement and the political correctness and everything that has been put there has allowed them to grow in the way that they are growing. For example, the first day that Trump was in power, he launched an attack on Yemen to take back the port from Al-Qaeda. In that attack, a Navy Seal lost his life, but they’ve opened the port again for aid to get to the refugees. What they are not telling you is that Trump has already been on the phone to Saudi Arabia and said: “Let me tell you something, you are going to allow safe zones, or else.” So, Trump is doing a lot of things in the background you’re not seeing. My view is that the media and the elites are absolutely terrified. 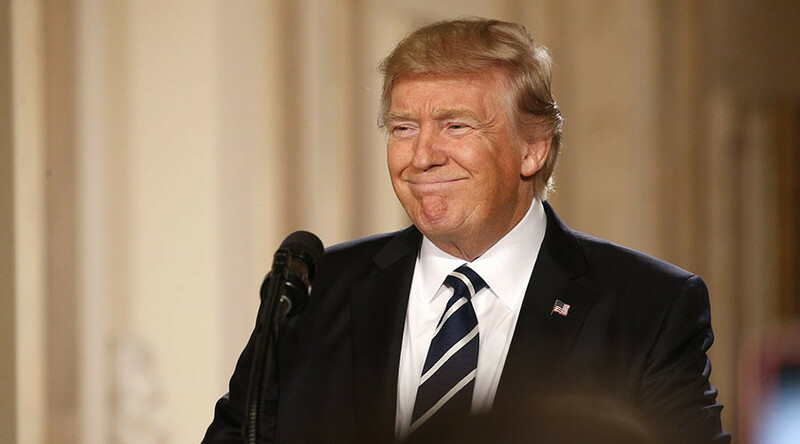 The more that the media turn on President Trump – you know he is doing the right things. RT: According to Donald Tusk there are threats all around Europe, would you agree with that? GM: … For example, in Ukraine – that was directly caused by the Western administration toppling that government. That was an intervention from outside, and it should’ve never happened. I am seeing Germany - for a long time we were told they will never be allowed to rearm. They now have got 300,000-400,000 men and arms. They are now moving tanks into Lithuania. Why? To confront Russia. Russia isn’t the threat. The threat, in my view… currently is Germany. They have imported a ready-made foreign legion into their country of 1.2 million fighting-age men. And yet our politicians say ‘there is no problem with that.’ You’ve only got to go back to Churchill and watch what Churchill said. For years he was put on the back benches; he was ridiculed. And for years he said there is a problem here, they are arming. Russia is not the threat; it is the European Union and the control that Germany has.